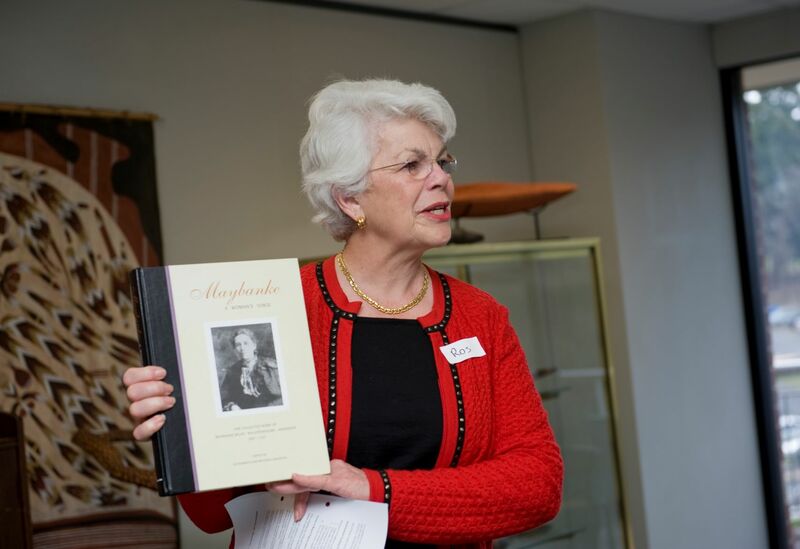 The Maybanke Fund honours the work of Maybanke Anderson, writer, leader, feminist, early childhood education pioneer and promoter of the rights of women and children in Australia. The Maybanke Fund connects its community of donors with organisations working to reduce social inequality through education, women’s advocacy and social reform – causes that continue to be as important in the 21st century as they were for Maybanke in 1893. You can make a difference by donating to The Maybanke Fund. Your donation today helps build the Fund for tomorrow and also provides the Maybanke Anderson Award for Indigenous students in Education, at Macquarie University. Make your donation to The Maybanke Fund and help keep Maybanke’s legacy alive. Maybanke Anderson (1845 – 1927) was once a household name to several generations of Australians, yet today is almost unknown. Maybanke was a woman who made things happen. Courageously taking leadership on controversial issues when the times demanded it. 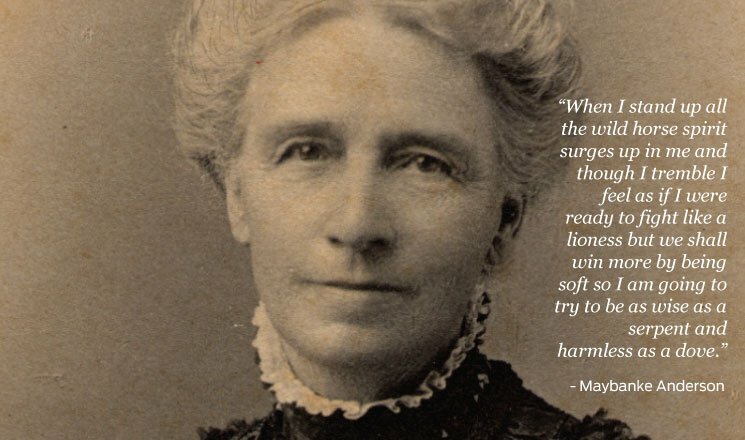 For more than 50 years, Maybanke actively promoted the rights of Sydney’s women and children and was a leader in the women’s suffrage movement. Always, for Maybanke, the vote was ‘the kernel of all reform’ and was president of the Women’s Literary Society (WLS) from 1893 until 1897 as the organisation grew to be the Womanhood Suffrage League of New South Wales. Maybanke founded the Australasian Home Reading Union in 1893 – an education program for people in rural Australia and the forerunner to the Workers Education Association (WEA), the organisation she also helped found. In 1895, Maybanke established the first free kindergarten in Australia, pioneering the free kindergarten movement, helping children and their working mothers. Each year Maybanke Fund awards a scholarship to support Aboriginal or Torres Strait Islander students at Macquarie University studying a full-time education degree. The Maybanke Anderson Scholarship provides financial support for aspiring early childhood educators to help them finish their studies, qualify and return to work in their communities. The scholarship is unique as it not only empowers and supports individual students studying at the university, it also helps to inspire the next generation of students and create the conditions for optimal early childhood development and high quality education. “After graduating, I worked in Early Childhood Education in Port Macquarie – working with young children and their families. I was forced to explore other opportunities, after the physical demands of this job became challenging for me as a mature aged woman. Eager to contribute to improving educational outcomes for Aboriginal people and closing the gap, I secured a role as an Aboriginal Support Officer at a local primary school – a role I enjoyed and flourished in for four years. I recently secured a permanent role as an Aboriginal Education Officer at a school in Wauchope, Port Macquarie. The school has a high proportion of Aboriginal students. In this role, I am able to use my experience and training to empower families and the next generation to achieve their full potential, addressing behavioural, learning and attendance issues across Kindergarten – Year 6. I strive to be a powerful advocate and voice for Aboriginal children and their families." 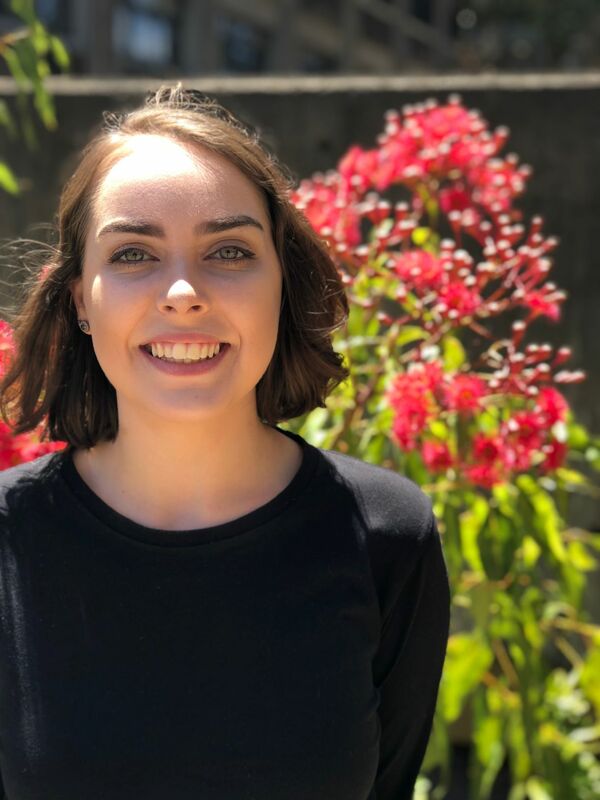 The support provided through the Maybanke Anderson Scholarship allows students like Maree to engage fully in learning by offsetting some of the financial costs associated with studying and traveling from rural and regional areas. 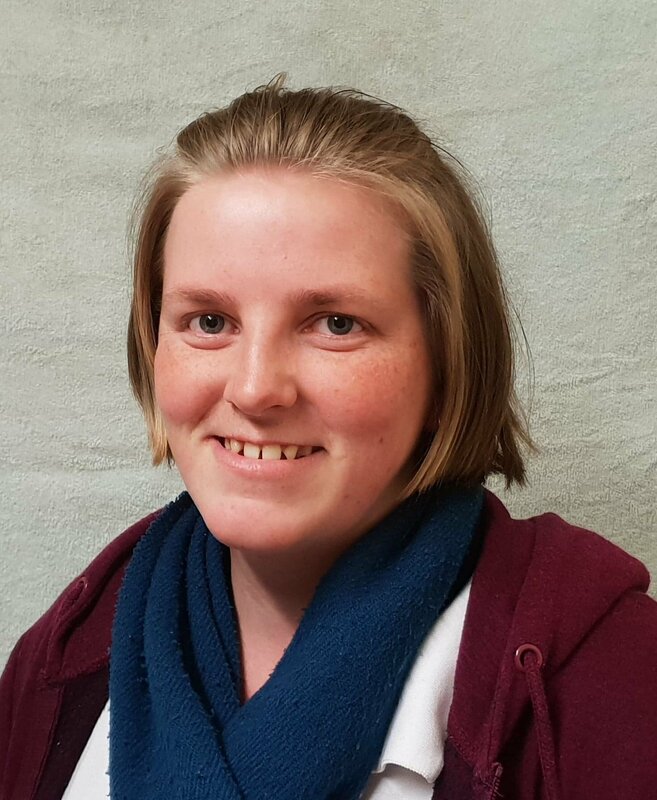 “I am currently employed as a full-time kindergarten teacher in long day-care centre in Moorooka in Brisbane, where I have been working since graduating from a Bachelor of Teaching (Early Childhood) in 2017. I am originally from Brisbane’s northside coming from the town of Narangba but have since moved to the southside for my current career as a kindergarten teacher. I am grateful for the opportunity to have received the Maybanke Anderson Scholarship as a student who was, at the time, struggling financially. 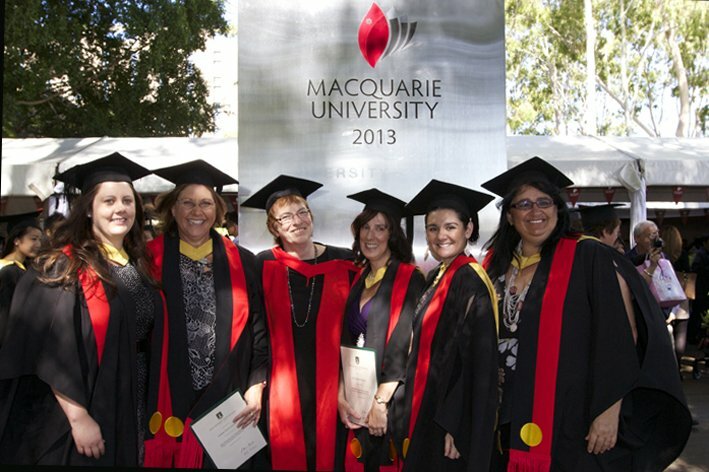 I am also grateful of the team at Macquarie University who encouraged me in my studies. Now, having completed my course and working in the industry, I am proud of my achievement and the contribution that I am making to the lives of young children and their families as an educator. As a student, having these kinds of opportunities and support provides not only a sense of achievement but also a means to reaching higher heights and developing confidence. I would encourage all eligible students to apply for this scholarship, as I have found it to be a memorable reminder of my experience of university. Three Maybanke scholarships were also awarded for Semester 2 2014 – presented by Roger Perry and funded by Sherry Hogan Foundation. They went to Cindy Treweek, Marcus Mundy Williams, Donna Drosd. “Thank you for the wonderful opportunities the Maybanke Anderson Scholarship has provided me. Having this extra money provided me with a sense of security, allowing me to leave my children and foster children at home with family who I can now support financially for their help. This is extremely important because it allows me to stay on campus and focus on my studies during the week. When I heard about the success of my application, I immediately used the money to buy a new printer and scanner. I was also struggling to buy text books and other resources this semester, so it has been an incredible help with these as well. Having three children at home I find it a struggle every week to pay for extra essentials, school excursions and other school curriculum. Being able to have some extra money that I can use to spend on my University studies has made a big difference. It has also made me realise that anything is possible, and this is the message I give to my children and foster children at home who dream of attending University. “I am a Ngemba Woman of Brewarrina. Studying a Bachelor of Education (Primary) at a University was huge achievement for me, however, it also came with many obstacles to overcome. One of these barriers for me was the financial struggle of moving away from community. This impacted on me and my studies. During my second year at Macquarie University I applied for the Maybanke Anderson Scholarship. This scholarship assisted with my financial struggles and it equipped me with resources in order to study. Emma Meharg from Penrith is in her last semester of her Diploma in Teaching. Emma has won the Maybanke Scholarship before in Semester 1 and in Semester 2 2014. She has been working full time as Aboriginal Teacher’s Aide in Childcare Centres run by Penrith City Council while studying for her dip Teach through the block release study arrangements of the Institute of Early Childhood at Macquarie. When she graduates in July, she will work as a fully qualified teacher in the Penrith City Council program and has been asked to provide professional development to other teachers working with children from Aboriginal backgrounds in the Council preschools. “I am a Wiradjuri woman from the middle of NSW in a small town of 3500 people called Condobolin. I began my journey of university life in 2014, to aspire to be an early child teacher, where I have now graduated my Bachelor of Teaching (Early Childhood Services). I applied for the Maybanke Anderson Scholarship in semester one 2016. I was very excited to be given this opportunity and honoured to receive it. The scholarship enabled me to be able to purchase text books needed for the semester and, as I live in the middle of the sticks, I have to travel great distances to attend on campus sessions and to complete my practical experience. I had to travel to Forbes which is 100km from home. The travel and distance for me was one of the biggest hurdles along with the financial circumstances become tighter. 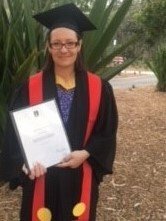 I am now at the completion of my degree and have been with my employers Condobolin Preschool and Childcare centre for 10 years. They have recognised me as a teacher in the service and I will move onto the teacher award, which has made me feel very appreciated as a valued member of our teacher cohort. Now that I’m qualified, I intend on become a director of the centre one day and ensuring that education and exposure for indigenous and non-indigenous kids in our community have the rights to the early childhood setting. I also work closely with youth in our community and hope that I can inspire them to complete University degrees and show them that it is never too late to do a degree. I hope in the future I can continue to bring joy and early education to the small communities and families I work with. I also want to show my two kids that they can do and be anything they want to be, as long as they work hard, just like mummy. I would like to personally thank everyone involved in the Maybanke Anderson scholarship program and say that it’s not just financial support provided but motivation and dedication support that was offered. I strongly recommend to fellow students to apply for scholarship. “I was honoured to receive the Maybanke Anderson Scholarship in 2016 and I would like to express my gratitude and appreciation for your generosity and financial assistance towards achieving my academic goals, and I am grateful for the opportunities it will continue to provide me. I’m a born and bred recognised Aboriginal woman in my community. My family’s Aboriginal heritage comes from the Wodiwodi tribe (also spelled Wadiwadi) traditionally from the land on the Shoalhaven River in Nowra. The Wodiwodi tribe comes under the Tharawal nation. Growing up in a small town in a blended family with a disadvantaged background, a generational cycle that I wanted to break led me to always follow my dream and my passion in life to continue my studies through High School and into University to become a teacher in the Early Childhood sector. My goals in life are to provide quality education and care to young children and to be an advocate for young children. I continue to study my Bachelor of Teaching Degree in Early Childhood Education at Macquarie University and plan to graduate by December in 2018. After graduation my future life goal is pursue a dream to own and operate a community based not for profit early childhood education service within my local community. This dream would never have been possible without your support and a generous donor like you who are awarding scholarships which assisted me to cover my financial costs during my university studies. As a recipient of the Maybanke Anderson Scholarship, I will be able to spend more time to focus on completing my Bachelor of Teaching degree in Early Childhood Education this year. I cannot thank you enough for giving me the financial support that will enable me to keep pursuing my academic career and dreams. I will one day hope I can make a meaningful contribution to the educational pursuits of future students just as you have made my dream a reality through a scholarship." “I am currently studying the Bachelor of Teaching (Early Childhood Communities) through intense block program at Macquarie University. During my time at Macquarie University my academic success hasn’t come easily. Studying for me has become extremely difficult recently because I have a very old, unreliable laptop. It is slow, crashes on a weekly basis and I have had to rely on family and friends to access computers and internet to get my studies done. While on campus I have 24-hour access to computers, this does help somewhat but I am only on campus on average 10 days per semester. I study at home for the remainder of the time. For me to continue with the academic success I have had in past I require a good quality technology, and this comes at a cost. With a young family, trips to Sydney for on campus stays and the resources that are required for my courses this semester there has been some financial strain on the family budget. Certainly, a new laptop is out of the question. Early Childhood Education is still my life passion and I am committed to continuing my studies here at Macquarie University. I do not want to scrape through this degree, I want to do my best and get the most out of my time at Macquarie University. In order for me to do this I need access to quality technology to both access resources and write and submit assignments. Thank you for this opportunity to achieve my dreams." 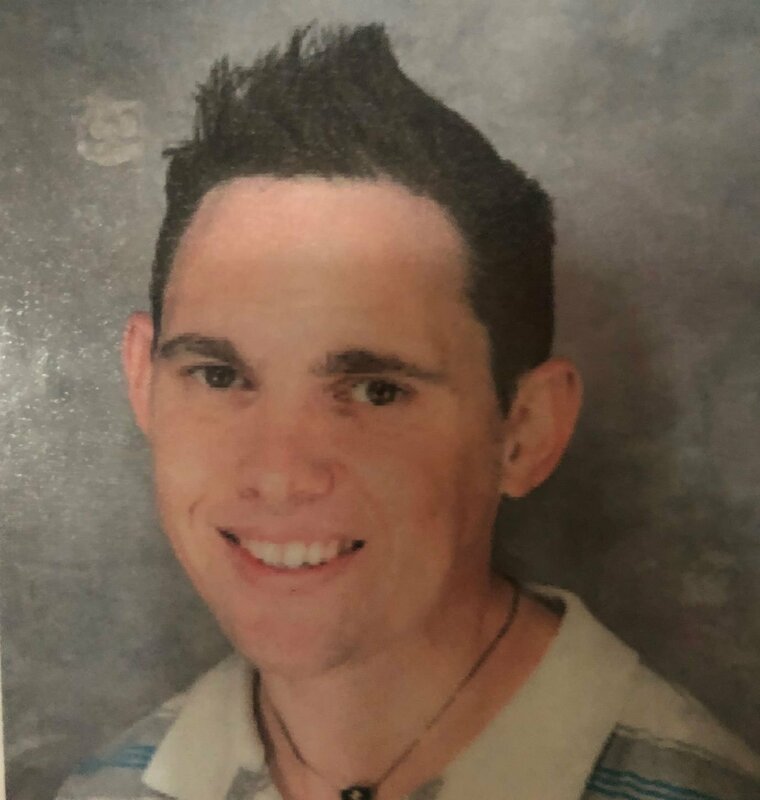 “I am currently studying a Bachelor of Science/Bachelor of Education (Secondary) – major in mathematics at Macquarie University. This scholarship has helped tremendously with providing funding for essential university costs such as textbooks and travel to and from university. It has removed the stress of affording boarding costs by providing financial security and a reliable source of financial support throughout the academic year. Thank you so much to the Maybanke Anderson scholarship donors; without them this would be impossible. After graduation from Macquarie University, I hope to become a mathematics teacher to support students in finding a passion for maths. Each year, The Maybanke Fund hosts The Maybanke Lecture on or around May 6, commemorating the anniversary of Maybanke’s first public speech. The lectures continue to advocate the social change that Maybanke dedicated her life to achieving. 2018 Lecture – ‘Protecting Children and Empowering Women – Historic and contemporary issues of Aboriginal child removal’ by Professor Larissa Behrendt. 2017 Lecture – ‘Self-care sits at the heart of women’s suffrage’ by Elizabeth Broderick AO. 2016 Lecture – ‘Forsaking All Others: Women, Marriage, and the Struggle for Equal Citizenship’ by Helen Irving. 2015 Lecture – ‘A Crack in the Lens: Women Working for Women’ by Lucinda Brogden. ​2014 Lecture – ‘Early Childhood Education in Australia’ by Dr Susan Feez & Professor Margaret Sims. Follow the Maybanke Fund on Facebook and view photos of past lectures and events.